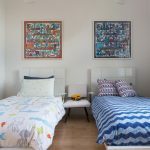 If you’re a parent with kids and you want to design a room for your kids, you definitely need to design your kids’ room with your kids in mind. 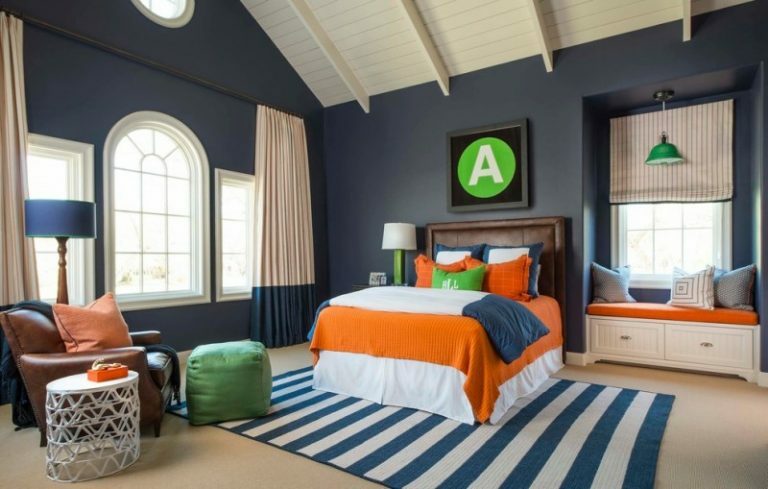 There are many ways to design a kids’ room and turn it into one that really suits kids. 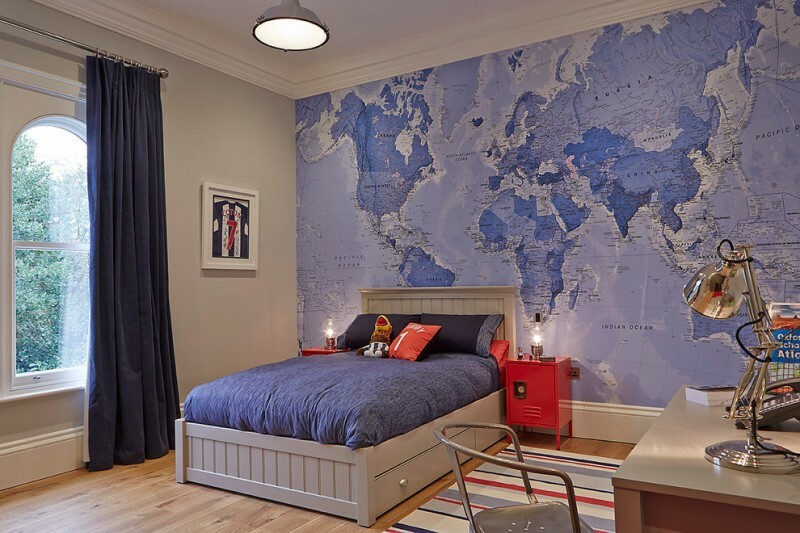 If you’re planning on designing a room for your kids, you should take a look at these awesome kids’ rooms and then get some very nice ideas to use when designing your own kids’ room to turn the room into one that looks nice and suits your beloved little ones. 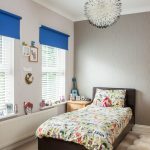 It’s probably something many people know that something colourful is what kids like and creating a colourful room for your kids is one of the best thing you can do to them. 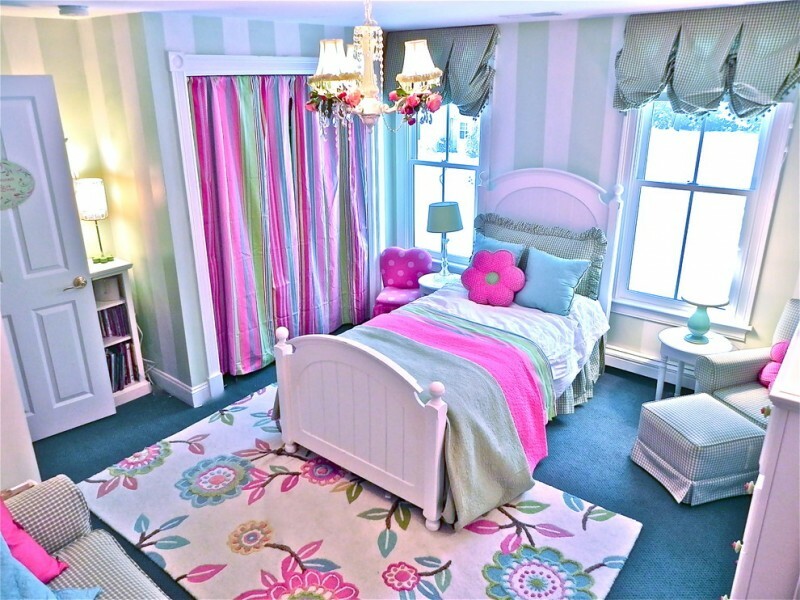 Here’s an example of a colourful kids’ room with a chandelier. A bedroom decorated by a wall with a map is something that has a high chance to be liked by kids, who might still learn about maps at school. 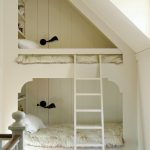 A bedroom that has four beds and ladders is something great to create for kids with siblings who want to spend their time together with their beloved siblings. 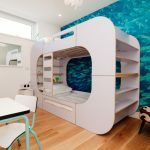 Kids love something cool and a bed with under-bed storage like the one below is among the coolest things that kids will surely like. 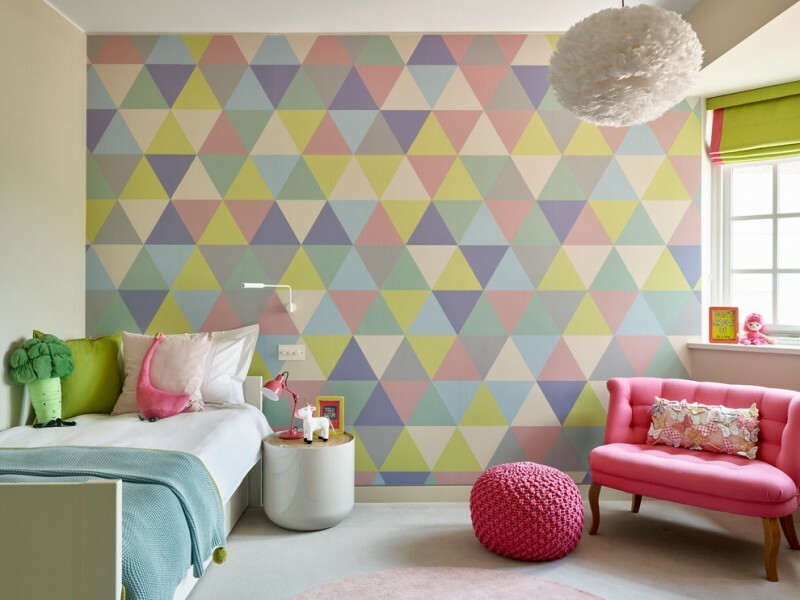 Incorporating a lot of colours into a room can be done in various ways and turning one of the walls into a colourful wall like this is one of those various ways. 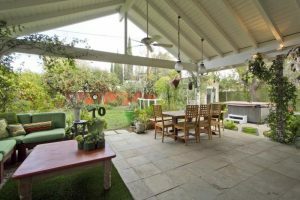 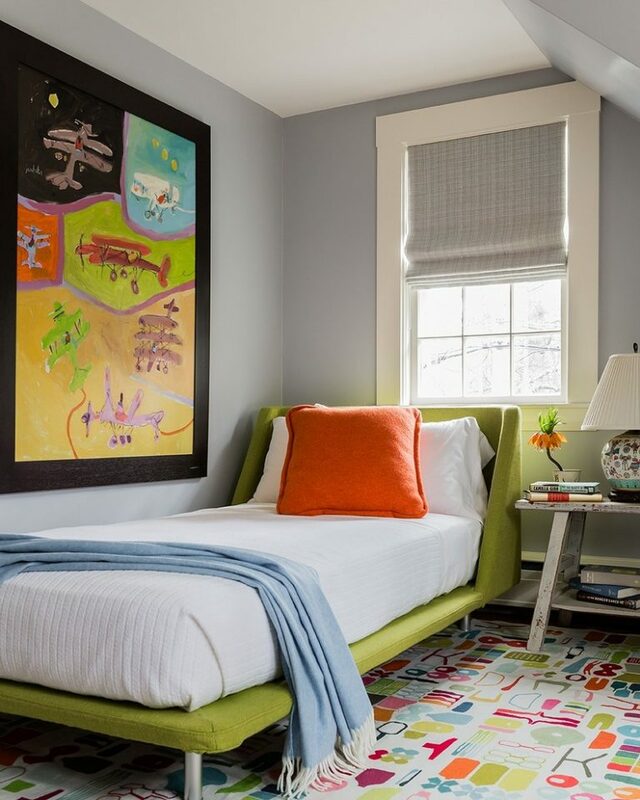 A room with a big window that can let natural light in the room is one of the best thing to give to kids, especially ones who love to play during the day. 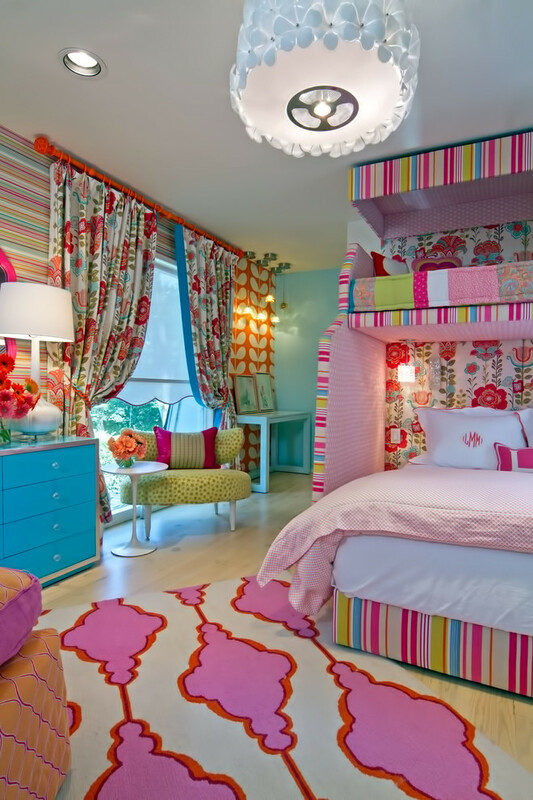 A bedroom that has two beds and uses colours that suit girls like the ones below is a nice bedroom you can create if you’re a parent of little girls. 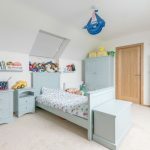 A room with a wall that can also be used as a cupboard like this is a very nice room for kids who have artistic talents and love to draw various beautiful things to express their thoughts. 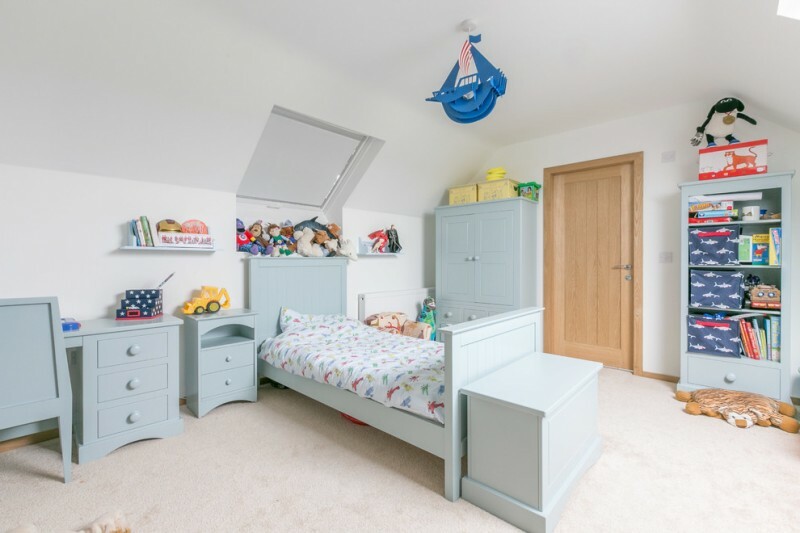 A bedroom with colourful lockers like the one below is a nice room to create when having kids because kids love things that are in varying colours. A room with lots of shelves is also a nice room to design for kids especially kids who have a lot of items to store in their rooms. 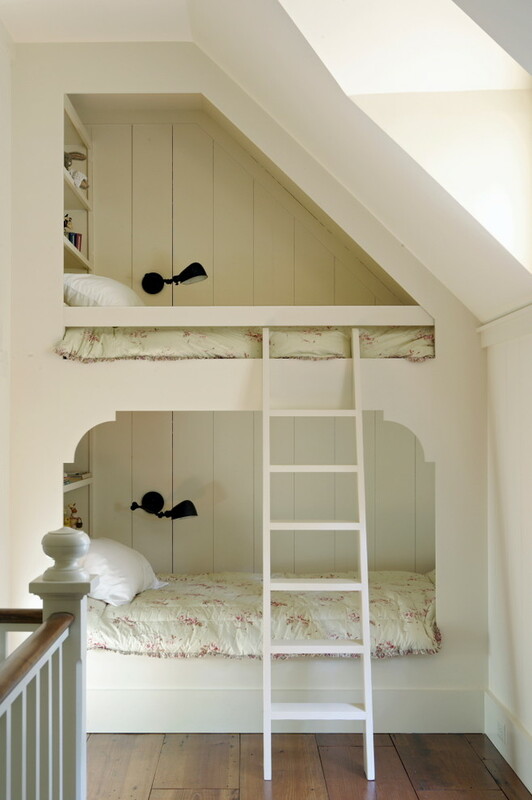 A bedroom with two beds and a ladder like this is a nice bedroom to create for brothers or sisters who want to sleep together with their siblings in the same room. 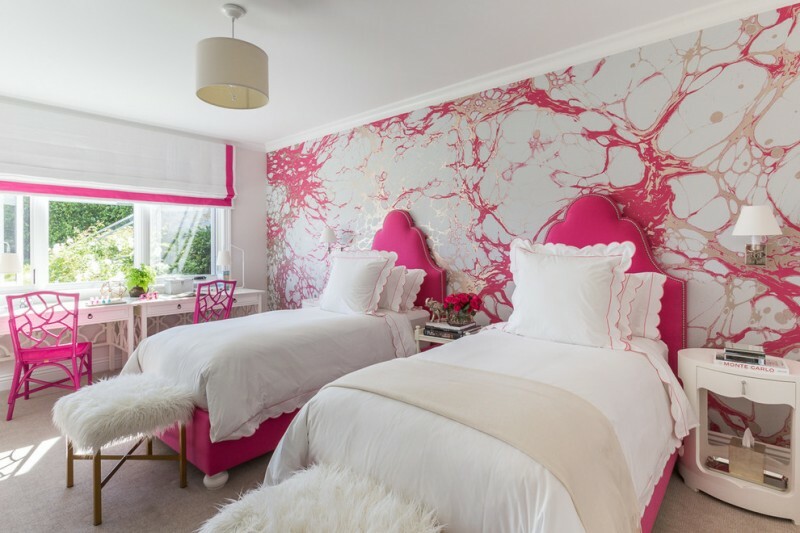 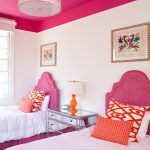 A bedroom that’s dominated by pink like this is a nice bedroom to get inspirations from when planning on designing a bedroom for girls. 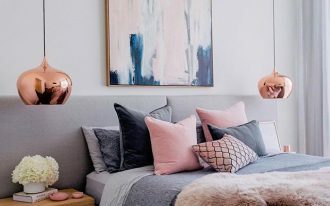 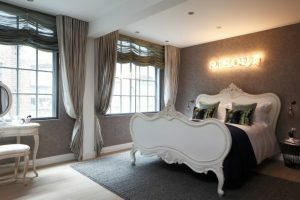 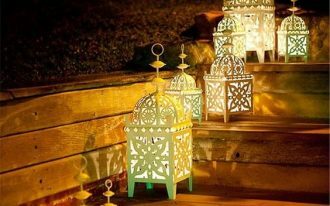 A bedroom that has an interesting hanging lamp in it like the one below is a nice room to get ideas from since kids love things that look interesting. 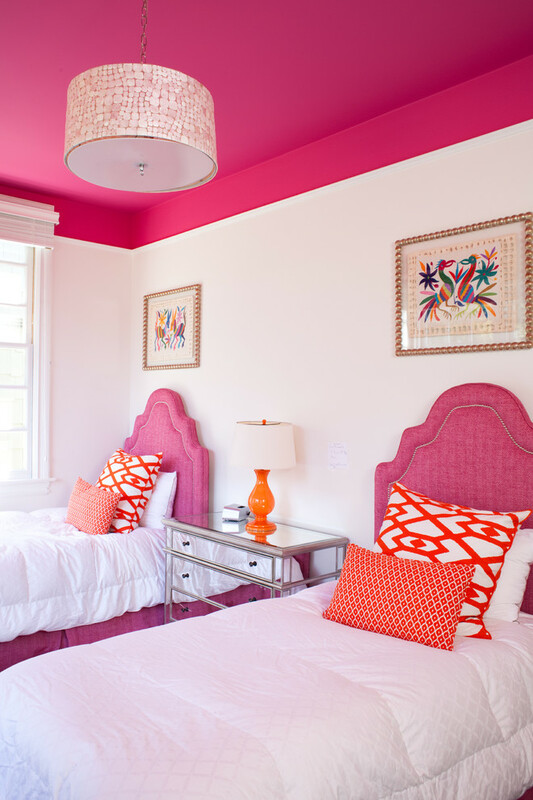 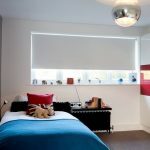 A colourful bedroom that has an interesting hanging lamp like the one below is the next room you should peek at if you’re planning on designing a room for your kids. 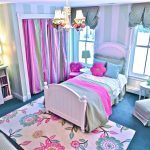 This bedroom, which is in love with purple and has beautiful decorative items, is a nice bedroom to create for kids, especially a little girl. 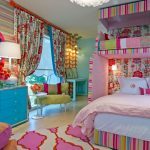 A bedroom with an interesting wallpaper and a lot of colours on the bed like this one is a nice bedroom to create for little kids. 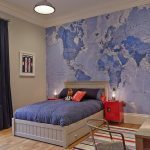 You should consider designing a very modern bedroom like this one for your kids if you want them to have things to be amazed when they’re spending time in their room. 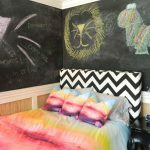 A childish painting is also a nice thing to use to decorate a bedroom for kids since it’s something that really suits kids. 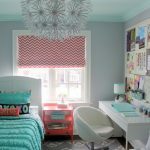 A girl’s room should be pretty and sometimes colourful and this room is what you should peek at and get inspirations from if you want to design a girl’s room. 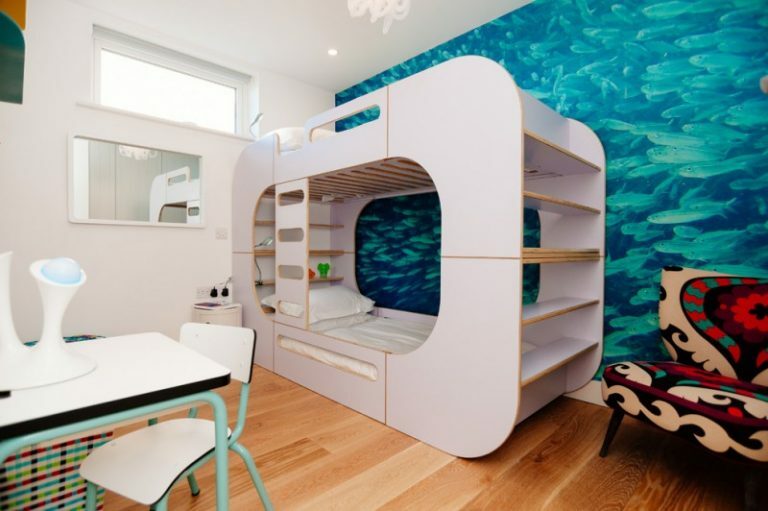 A cute bedroom that has a small bed like this is one of the best rooms you can design for your kid if your kid wants to sleep alone in his or her room. 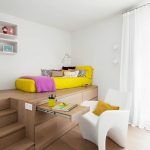 A bedroom with a bed that has shelves on it is a nice bedroom to design for your kids if you have a small space to use or if you want to give your kid an interesting bed to use. 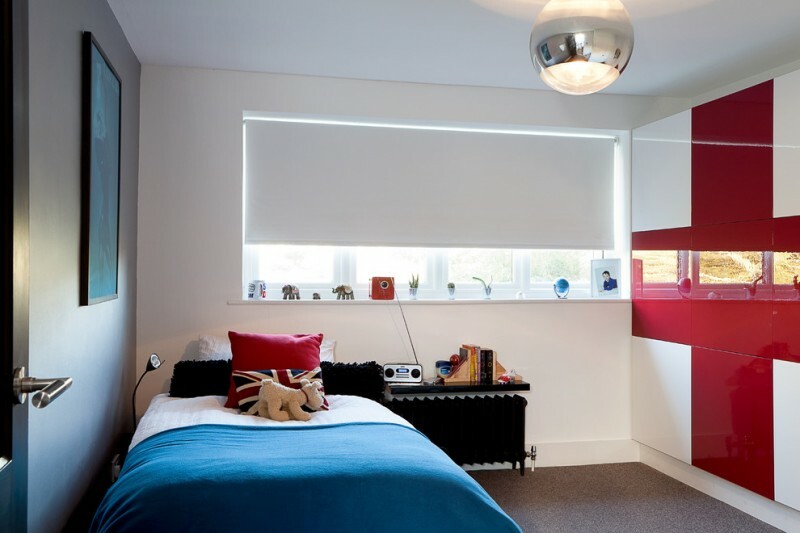 If your kids love pops of colours, creating a room with interesting pops of red like the one below is something you should consider doing. 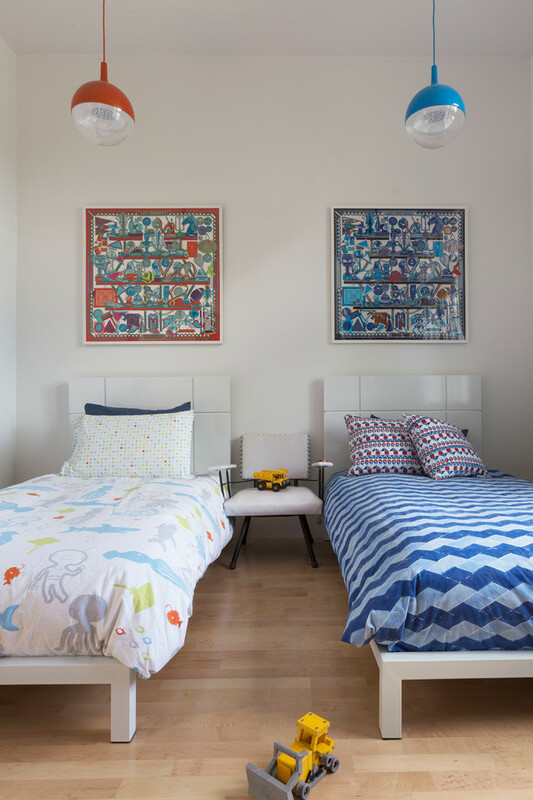 With two beds and two hanging lamps in different colours, this bedroom should be one of the things you should try getting inspirations from if you’re planning on creating a kids’ room. 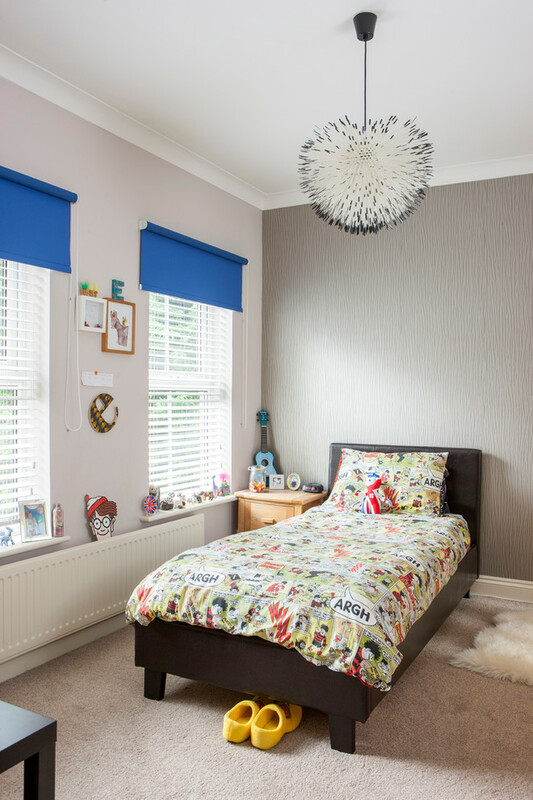 A big bedroom is never a bad thing to give to kids because they’ll use the space available in the room to play or do other fun things. 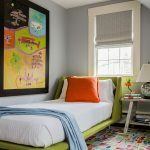 With a tall ladder, a mirror and a modern table, this bedroom is one of the best things you can try getting ideas from when you’re trying to create the best bedroom possible for your kids.